By now, everyone has jumped on the bandwagon of organizing bookshelves by spine color. 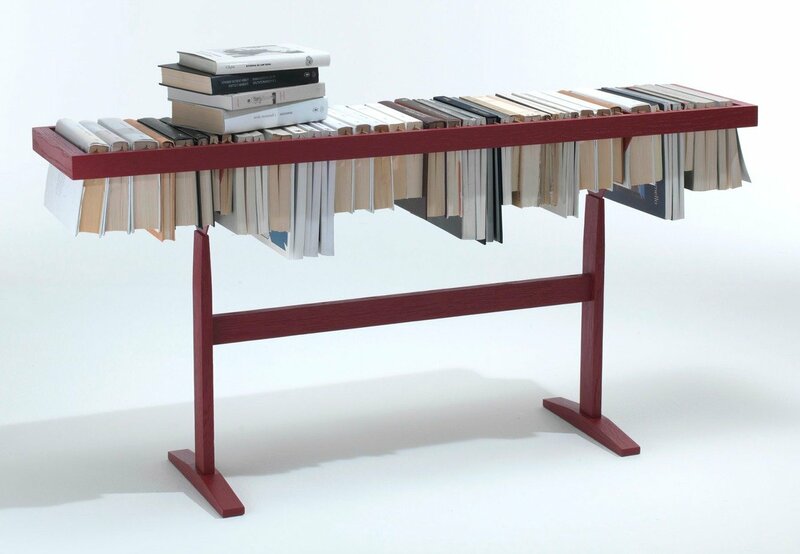 And while we love the look, it’s refreshing to see a new, inventive way to display one’s reading material. Booken was designed by Yael Mer & Shay Alkalay of Raw Edges as a way to exhibit the book “as an object that becomes material.” It’s the horizontal version of the traditional bookcase, and with the books hanging by their spines, they create a visually interesting and purposeful console table that doubles as a library. 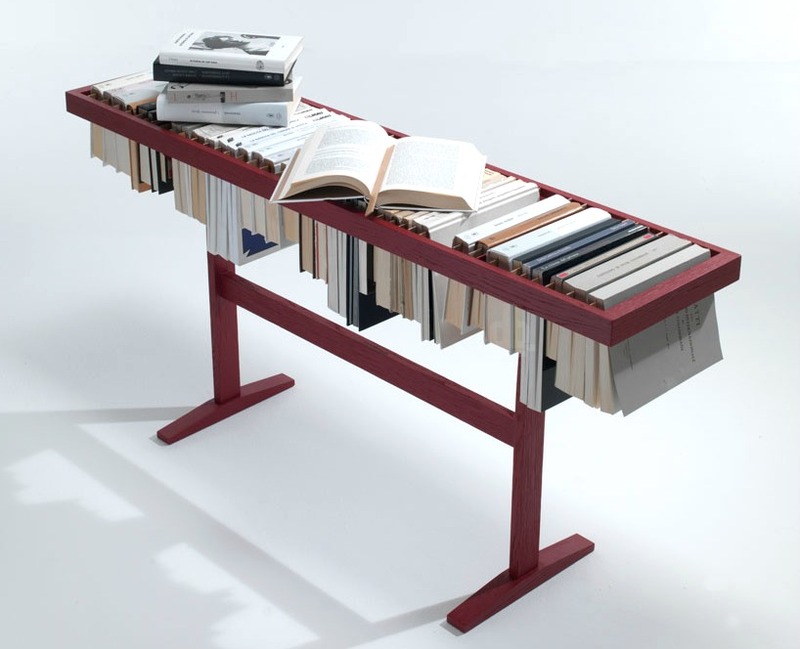 Booken is made of a light wooden frame that has wooden slats from which to hang the books (a take on the “classic firm of the bookmark” according to the designers). See more work from Raw Edges here.